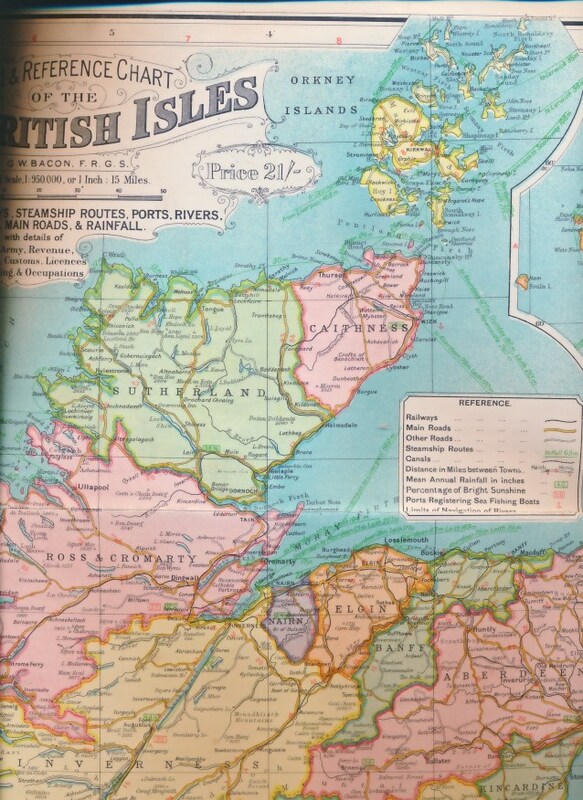 Barter Books : Bacon, G W : New Commercial & Reference Chart of the British Isles. Showing Railways, Steamship Routes, Ports, Rivers, Canals, Main Roads, & Rainfall. G: in Good condition without dust jacket as issued. Cover lightly rubbed with some staining along spine. Some scattered foxing on linen side of map. Previous owner inscription on linen at rear. Scale 1:950,000 or 1 inch:15 miles. Contents comprise two large linen backed folding coloured maps of 9 segments each. Total map size approximately 1250mm x 960mm.